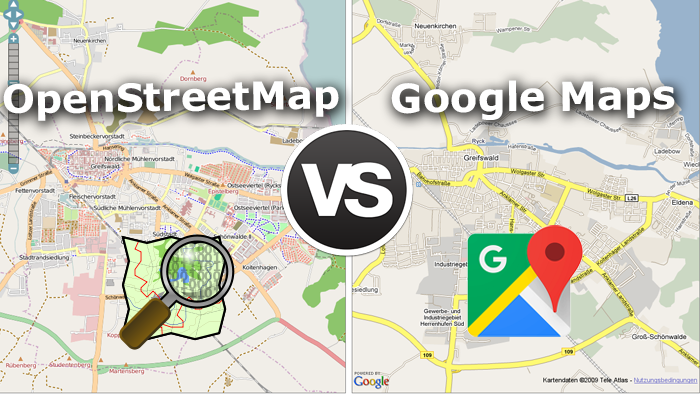 If you’re a developer of a website you’ve got two main mapping environments to choose from: Google Maps and its alternatives – OpenStreetMap. Why use OpenStreetMap if there is Google Maps? There is no ultimate answer as to which one is better. The first reason is that according to a new Google maps policy, the pricing for the Google maps using is highly increasing for the websites with a lot of queries. When Google Maps started more than 10 years ago, everything was completely free to use. These last few months that has changed drastically. The first decision made by Google was to limit the free number of requests per day. It didn’t really impact the small users that were still under the limit but some big players decided to switch to other solution like OpenStreetMap. The latest change (June 2018) has much more impact: Google decided to reduce the limit of free requests (25000 map display per day to 28000 per month – that’s around 1000 map display per day, so 25 times less). OpenStreetMap is always available for free to users, developers and companies. What does “Open” approach mean? 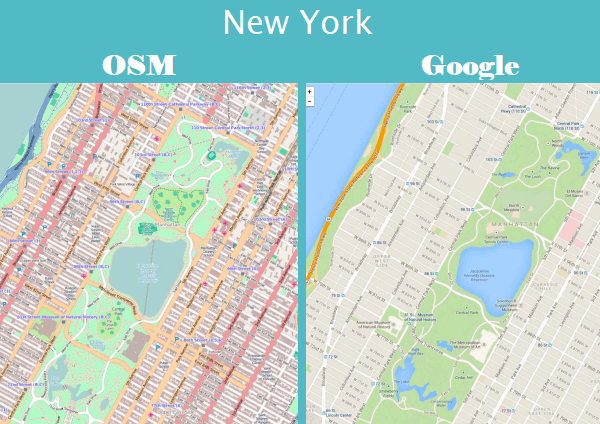 Except for the price, Google maps and OSM have as many similarities as differences. The key difference between these two mapping environments is “Open” and “Closed” approaches. Google Maps and OSM have a different way to collect and distribute data. 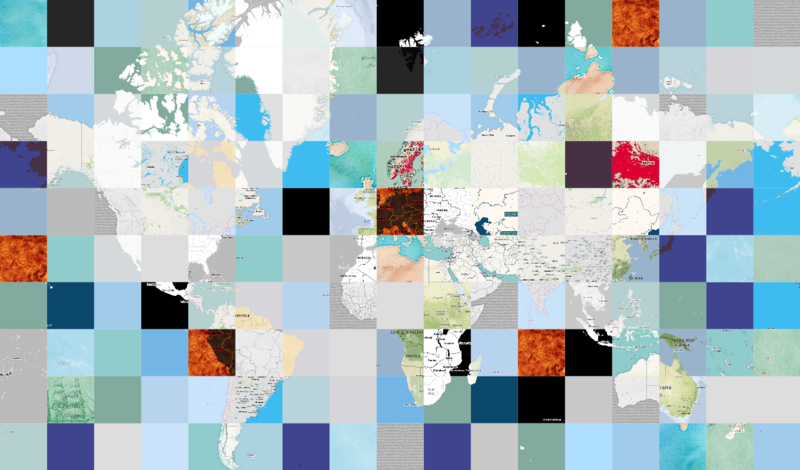 The idea of OSM was to create a free, editable map of the world made by the voluntary efforts of online masses. More about the features, you can read here. Google provides a similar approach as Google Map Maker, in order to improve its maps and gather local data from people willing to contribute where map data was hard to purchase. But the main thing is that every edit you make to OSM is owned by you and the community. Every change you make to Google Maps will be owned by Google. You have access to the data. Google Maps doesn’t give you access to the data behind the map but you have full access to the OpenStreetMap database. Access to the data means you can build a map that suits you and not depend on decisions made by the map provider. If you need some information, just download it! Сommunity of 3 million users ensures the high quality and granularity of OSM maps. Google spends a lot of money and resources to keep maps updated, its data quality is not better than OSM. Especially, if to talk about less developed areas, the OSM gains even higher data granularity than any other map source. Moreover, Google focuses on updating map features which are most profitable to sell. The OSM does not sell the maps, and make maps focused on hikers, cyclists, physically challenged, sailors and practically any interest group. OSM is ready for any styling you need to apply for your project. We still have no ultimate answer. Moreover, we even have both plugins Ultimate Maps and Google Maps Easy and we use them both. Your choice depends on what do you prefer and what do you need. We use Google Maps almost every day and it is a great mapping service. There is a certain cost associated with using Google mapping services. Also, it cost of privacy and loss of control over what we see on the map. Google is an advertising company. It uses our location information and search results for marketing purposes. But more and more organizations are choosing OSM for their maps. They are Foursquare, Wikipedia, Craigslist, Apple, Github, Pinterest, Roadtrippers and Strava and other. We are not saying it is perfect. No one map is. But if to use Google Maps and OSM for different use cases it is the best solution.